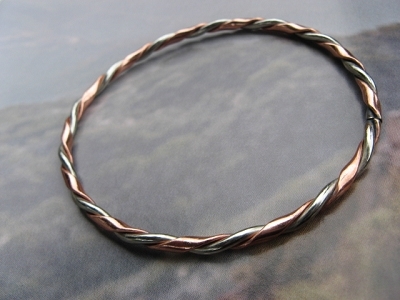 Men's 8 Inch Copper and Sterling Silver Cuff Bracelet CB81B - 3/16 of an inch wide. 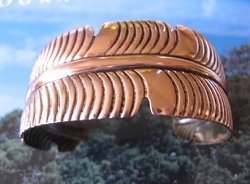 Men's 8 Inch Solid Copper Magnetic Cuff Bracelet CBM 801 - 3/8 of an inch wide . 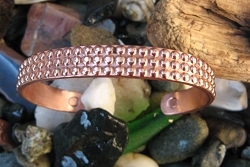 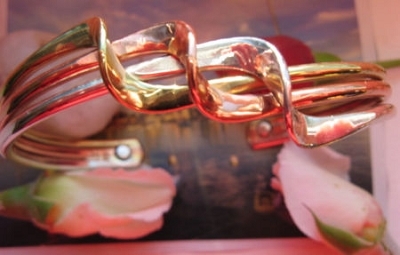 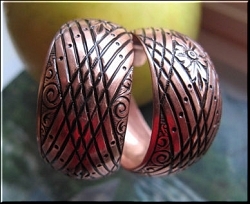 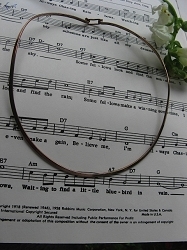 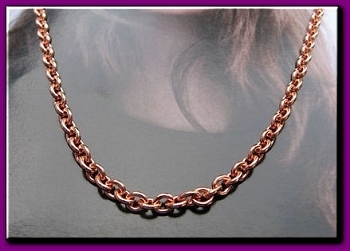 Women's 7 Inch Copper Cuff Bracelet CB6445C - 1 3/4 inches wide. 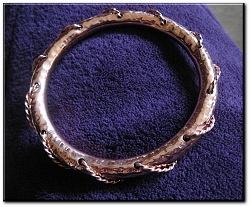 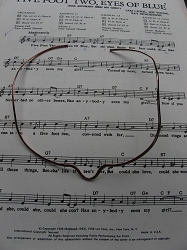 Men's 8 Inch Tri Metal Cuff Bracelet CB17B - 1/8 of an inch wide. 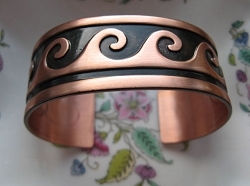 Men's 8 Inch Solid Copper Magnetic Cuff Bracelet CBM88 - 5/16 of an inch wide. 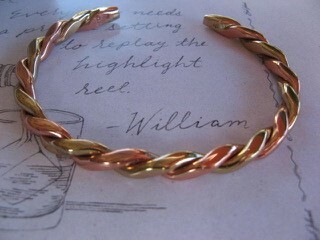 Men's 8 Inch Solid Copper, Brass and Sterling Silver Magnetic Cuff Bracelet CBM88B - 5/16 of an inch wide. 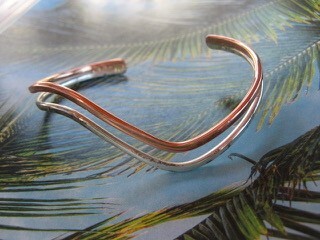 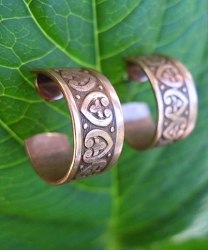 Women's 7 Inch Magnetic Copper, Sterling Silver And Brass Cuff Bracelet CBM88B - 3/4 of an inch wide. 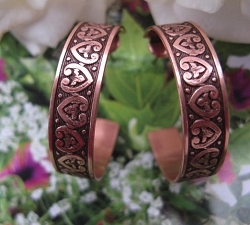 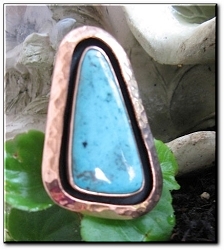 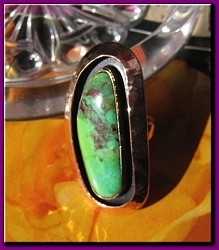 Copper Ring CR1278E- Size 6 - 1 1/8 of an inch wide. 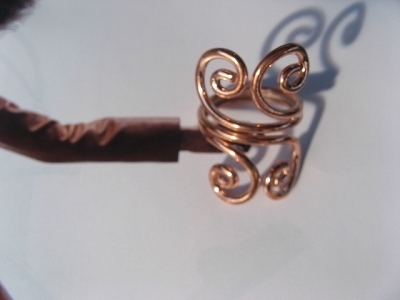 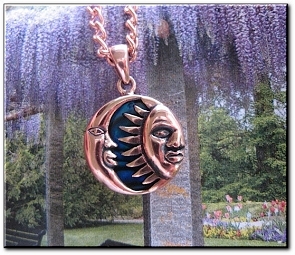 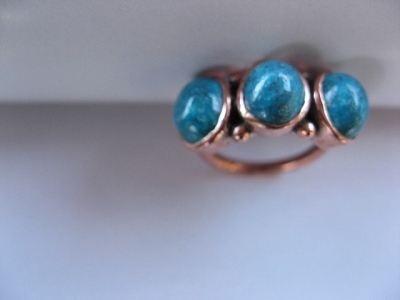 Copper Ring CR1272E- Size 6 - 1 1/8 of an inch wide.